It’s all so exciting – you have a big event coming up, and you’ve found the perfect outfit. 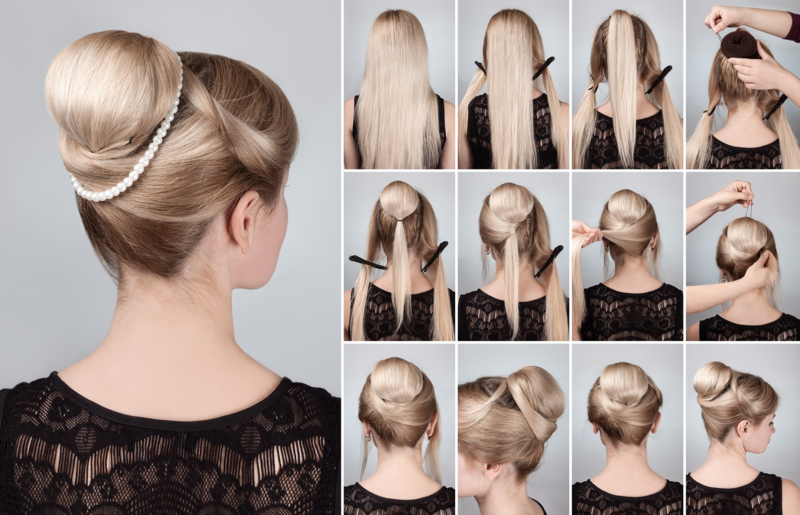 Now you just have to decide upon the perfect formal hairstyle to match, but there are so many options! How will you find the one to tie it all together? Whether your upcoming event is a wedding or a prom or something else, here are some organizing ideas to help you make the best choice for the look you want. One of the most versatile hairstyles for formal events is the classic chignon. It works just about anywhere from glam events to weddings on the beach. It also works well with just about any hair texture, too. It matches best with classic gowns, and you can opt for a low bun style with bateau or portrait necklines, or something higher for outfits with higher necklines. This year we’re seeing a lot of retro glam for formal events, and the good news is that you can find one that works with just about any length hair. The key is volume rather than length – pompadours and finger waves are signature components. You can go full-on vintage with your outfit pairing, or use the style to offset a modern asymmetrical gown. And don’t be shy to top it all off with a big, bold hair accessory too. Those with short hair needn’t feel left out. There are two key elements to consider – your hair’s natural texture and the style of your outfit. If your hair is naturally curly or tends to frizz, go with waves or enhanced-but-not-tamed natural. If your hair is straight, go for sleek. Embrace the season too with fresh or silk blooms for embellishment. Shorter hair also lets you be a bit more daring with your outfit – your shorter style will let you naturally show off an interesting neckline or back detail. When you’re heading out to a formal event, the styling team here at Salon D’Artiste may just be your best friend. We offer a fantastic comprehensive bridal and formal service to help the day come together effortlessly. For an appointment, call us on 610.687.2020 or come see us at the salon at Eagle Village Shops at 205 Lancaster Ave. #2 in Wayne. Want to make an appointment instantly? Use our app – it’s available through the Apple Store, GooglePlay, or Amazon.